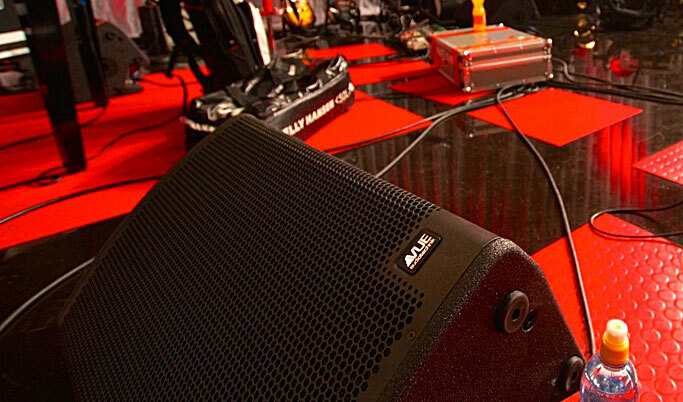 a-Class systems offer working professionals the perfect balance of sound quality, versatility and value. Benefitting from many of the same design principles behind VUE’s flagship h-Class, the a-Class brings similar voicing characteristics to a highly versatile family ideal for real-world applications ranging from houses of worship to theaters, auditoria, and portable PA. And thanks to exceptionally consistent voicing across the range, users can easily combine different a-Class models into countless configurations while maintaining the signature “VUE family sound”. While all a-Class loudspeakers deliver exceptional sound quality when paired with any high-quality amplifier, the sophisticated DSP and amplification available from VUE’s V4 and V6 Systems Engines takes a-Class performance to an entirely new level. The rack-mount V-Series amplifier/ processors bring SystemVUE networking technology to the a-Class family, while their powerful onboard DSP optimises a-Class performance for any application and configuration. Each compression driver is mounted to a 70° x 55° horn that can be rotated either horizontally or vertically to optimize dispersion. In addition, the a-12 and a-15 will operate in either passive (single amped) or bi-amped modes with a simple, high current switch located on the rear panel. a-Class subwoofers are equally impressive. Every component inside our a-Class subwoofers was optimized specifically for the line. From the powerful transducers with large, 4-inch voice coils for increased power handling and decreased power compression, to the precision-tuned vents and crossover networks, every individual element within an a-Class subwoofer works in perfect harmony and at peak efficiency to deliver an impactful and defined low end. Topping the line is the formidable as-418 (far left), which uses a unique, dual-isobaric configuraration to serve up four 18-inch transducers in an enclosure the size of most dual 18-inch designs, while delivering less distortion and as much as half the power compression for more usable power. Joining the as-418 are the dual 15-inch as-215, and the single 15-inch as-115. Bi-amp or passive modes The a-12 and a-15 are capable of operate in either passive (single amped) or bi-amped modes via a simple, high current switch located on the rear panel. a-Class cabinets are manufactured to stringent ISO standards using multi-ply, cross-grain laminated birch with extensive interior bracing for resonant-free performance. Full-range models feature a unique pentagon shape for easy use in either monitor or FOH orientations. Integrated hanging points provide flexible flying options, while a cup-mount system allows for portable use on stands or atop a-Class subwoofers. A rugged, polyurethane finish ensures long-term durability through years of on-the-road service.